SOUTHSIDE OF AYLESBURY. 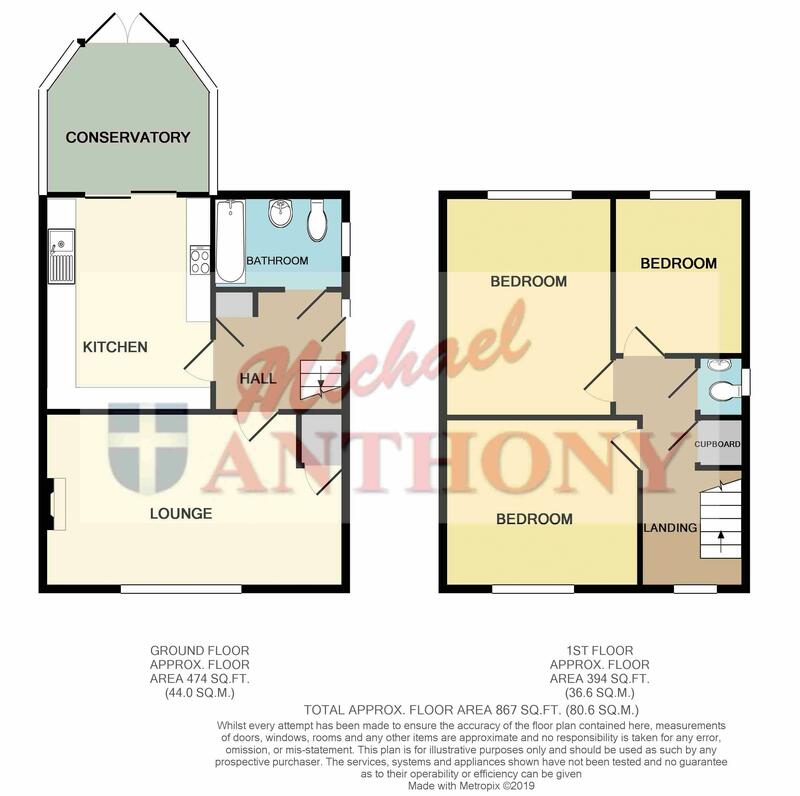 Michael Anthony are pleased to offer a three bedroom semi detached family home situated on the popular Bedgrove development. Accommodation comprises; entrance hall, kitchen, dining room, conservatory, bathroom, three bedrooms, cloakroom, garage and driveway parking. Call 01296 433666 for further information or to arrange a viewing. Doors to all rooms, radiator, stairs rise to the first floor. UPVC double glazed window to the front, radiator, television aerial point, feature fireplace, understairs storage cupboard. UPVC double glazed sliding patio door opening to the conservatory, range of storage units at base and eye level, rolled edge work surface areas, space for fridge/freezer, washing machine and dishwasher, electric oven and four ring gas hob with extractor hood over, one and a half bowl single drainer sink unit with mixer tap, radiator, inset spot lights. UPVC double glazed french doors opens to the rear garden, radiator, television aerial point. Frosted UPVC double glazed window to the side, radiator, low level wc, pedestal wash hand basin, panelled bath with shower attachment over, tiled flooring, inset spot lights, extractor fan. Doors to all rooms, access to loft space, UPVC double glazed window to the front, door to airing cupboard. Frosted UPVC double glazed window to the side, low level wc, pedestal wash hand basin. Two Velux windows to the rear, inset spot lights, built in eaves storage. Mainly paved to provide off road parking for several vehicles.